I have actually done quite a bit of sewing and have quite a few things to show but I thought that I'd break myself back in gently with a short post. Most of you already know that Sew Mama Sew are holding their bi-annual giveaway day/week at the moment. I thought that I'd join in the fun and have my own little giveaway here, after all, I've won a few giveaways in the last few months so it's only right that I give a little back. The charms will be cut from the pillowcase shown. My own little 'vintage mountain'. I'm not going to actually going to link up with the Sew Mama Sew page as I'm scared that my little blog wouldn't be able to cope with all that attention! I've leave the giveaway open until Saturday nightish (14th December) and then pull a name out of a hat (or some other vessel) and let the winner know via email. I don't think you should feel bad about your vintage mountain. The fabric is lovely and it's recycling and is very worthy;-) Mine is not a huge vice, but is not doing any housework (at all) when I'm in the middle of making something. The UK vintage sheet swap got me addicted to vintage sheets too! I can't go past a charity shop without having a nosy just in case there is some bedding to be bought ;-) Lovely give away thanks for the chance. Hi Catrin. So finally I found your blog after 'meeting' you on Instagram. :-) I don't have any vintage floral sheets as yet although I've been fondly eyeing other people's collections. Totally agree with Catherine, don't feel guilty you are recycling. :-) Lovely giveaway. Mine current vice is probably Instagram! My vice is not being able to say 'no' when people offer me fabric, free of charge. 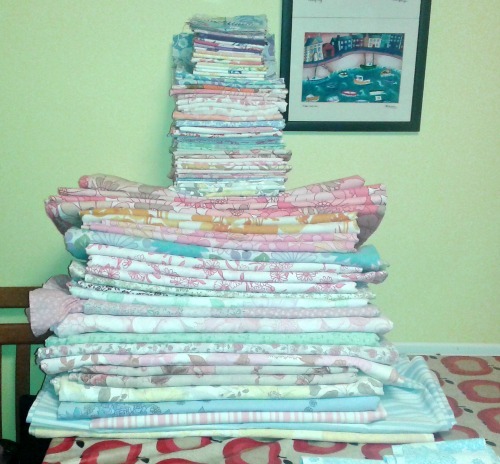 I love your vintage fabrics, and what a generous plan to give some of them away! I'm sure I have more than one vice, especially of the fabric type ;-) It's just too tempting! 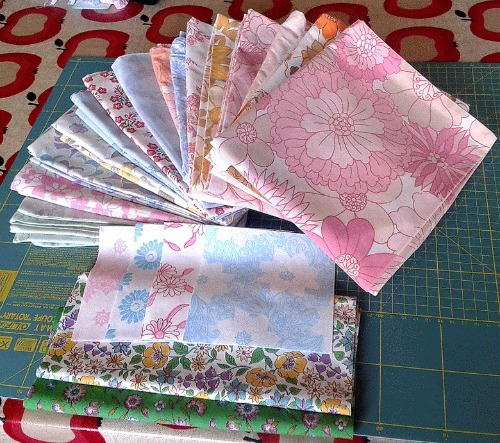 Such pretty liberty fabrics and sheets, thank you for the chance to win. I don't like to think of them as vices but I like chocolate and fabric probably more than necessary. My vice is leather (which sounds MUCH worse than it is). I keep picking up leather scraps from the scrap store and then never making anything with them! 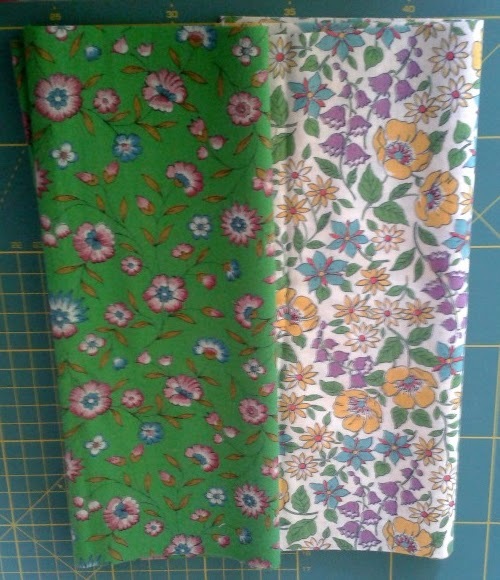 Cute fabrics, thanks for the chance to win Catrin. OMG, look at the time, over here is 9:15 pm!